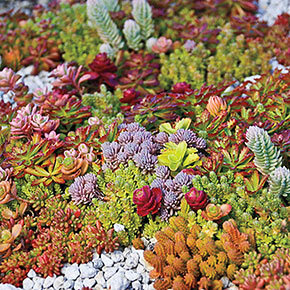 Sedum are on trend right now. Especially with the artsy gardeners and DIY-ers, who have put them in everything from conch shells to teacups to wreaths. 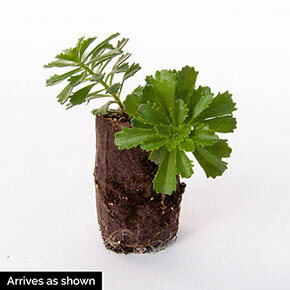 They fit almost anywhere, feature unusual foliage and are very easy to care for. They like lots of sunlight and very well-drained soil—they are quite drought tolerant. We have many excellent varieties growing in our greenhouse, and with this offer, our professionals will select and send you one of the best we've got in stock. Foliage Type: Mixture - Small succulent leaves, needle-like, thick, rounded etc.